Having a basement in your home helps support the overall structure and provides additional living space. If you are planning a new construction, you will want to consider the depth of the basement before you get ready to build. Basement depths and sizes vary depending on your location, type of home and budget. You contractor will be able to weigh precise pros and cons and discuss with you the final cost of construction. A standard 8-foot basement can house most of your utilities. A basement is an asset to many homes and provides the main support and stability of the home. The depth of the basement is important because there has to be enough footage to reinforce the framing of the house properly. According to the University of Missouri Extension, the average basement is around 8-feet in height for most new constructions. Older homes or custom designed homes may be slightly less or more. Not all homes are built on a basement foundation. If the home sits on several layers of bedrock or limestone that are close to the surface of the soil, it can be challenging or in some cases impossible to build a basement. Soil that is near a wetland, contains a lot of clay, or is wet and saturated can also make it challenging to construct a basement. If you are unable to build a basement on your property, but would still like to have your foundation off the ground, choose a crawl space. A crawl space is a small area under the home that is created by raising the foundation of the home by around 32 inches. Most crawl spaces are essentially built on top of cinder blocks and any combination of metal and wooden support beams. A crawl space is not a living area, but it can house water pipes, gas and electrical lines, well pumps, and other utilities. Because a crawl space should be properly insulated, especially if you live in a colder climate, your actual usable space may be more limited. Having an 8-foot basement has many benefits. 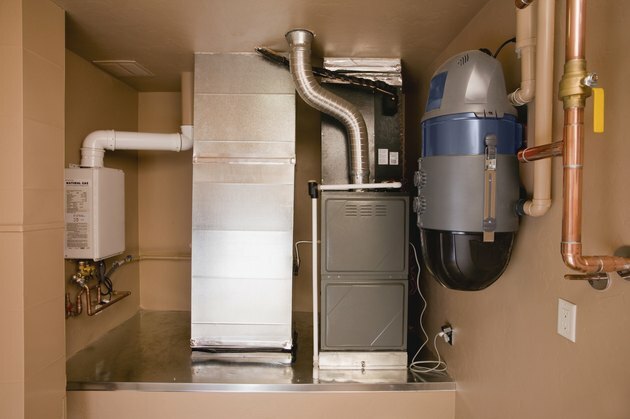 The basement is a good location for most of your larger utilities such as a hot water tank, furnace, water softener, washer and dryer. You can easily turn your basement into a functional living area and use drop ceilings to cover up overhead wiring and pipes. Add additional rooms in your basement as long as there are two exits on either side, in case of fire or emergency. Some people use basements as storage areas to limit clutter and provide more space upstairs. Like all structures, a basement can cause problems within your home. Most problems occur when construction is done incorrectly, or a weather-related problem causes damage. Making sure that the basement has proper waterproof walls and efficient drainage around the foundation will ensure the basement stays dry. If you have a problem with water filling up in the basement, you may want to install a sump pump to drain and discharge water as needed.